Ray Rentschler has been in the animal control field for over 16 years and has worked in the positions of Animal Control Officer, Bite Investigator, Dangerous Dog Investigator, Cruelty Investigator and Field Supervisor. Ray has completed his Basic, Advanced and Administrative Animal Control training and instructs Animal Law Enforcement classes across the state. Ray is a certified humane investigator through the University of Missouri-Columbia, certified in Chemical Capture through Safe Capture and has specialized training in Basic Criminal Investigation and Intermediate Crime Scene Investigation. 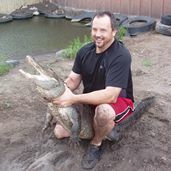 Ray has had special training with wildlife including Wildlife Rehabilitation Basics, Urban Wildlife Training from Parks and Wildlife, as well as attended an alligator handling class. This presentation will cover the types of urban wildlife within Arlington and some strategies on how to live with our wild neighbors. Animals that will be discussed are Coyotes, Bobcats, Skunks, Alligators, Feral Hogs, Snakes and other common animals. 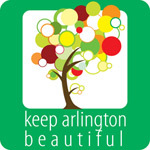 We will also cover the new City of Arlington urban wildlife web site and how the city responds to different wildlife issues and situations.